We pay top dollar for Gold Jewelry and Scrap Gold. 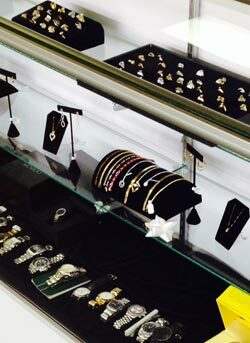 We have a growing selection of Jewelry for sale, from Engagement Rings, Wedding Bands, Tennis Bracelets, Necklaces, Pendants, Earrings, and Watches. We have a wide selection of New and Used Firearms ranging from Revolvers, Pistols, Hunting Rifles, Shotguns, Muzzle Loaders, and Semi Auto Rifles including AR-15’s. 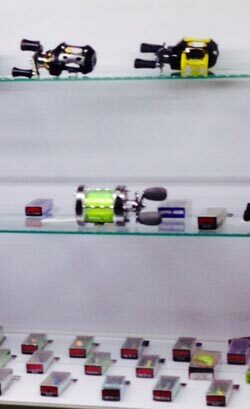 We also stock Smith and Wesson, SCCY, Ruger, Remington, and Hi-Point Firearms, along with a wide selection of ammo. Our inventory changes daily so you never know what you will find on our gun rack! We accept many up-to-date electronics. Many of the electronics that we Pawn, Buy, and Sell include Flat Screen TV’s, DVD & Blue Ray Players, Current Game Systems, Sound Bars & Surround Sounds, Car Audio, Headphones, Cameras & Camcorders, Laptops, Ipods, and Tablets. We are always trying to accept any current and up-to-date electronic item so if you have something that you are unsure about and need to pawn or sell it, just call and ask us or bring it in, it never hurts to ask! We accept a wide array of musical instruments and have a large variety for sale. We have a large selection of Guitars and Amplifiers, Band Instruments such as Trombones, Saxophones, Trumpets, Clarinets, Violins and Violas, Flutes, and Percussion Instruments as well. We also accept certain types of studio equipment. 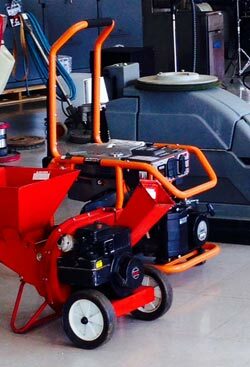 Our Tool selection is one of the largest portions of our inventory. 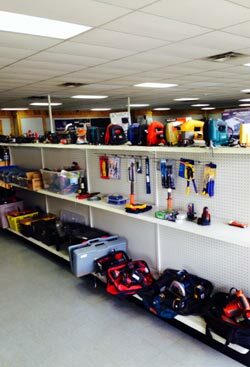 We accept and sell any up-to-date hand or power tool including but not limited to Sawzalls, Sanders, Grinders, Miter Saws, Drills, Impact Drivers, Jig Saws, Band Saws, Table Saws, Shop Vacs, Generators, Air Compressors, Ladders, Pressure Washers, Circular Saws, and when it comes to hand tools we try and accept almost anything! If you have a Question about an Item that you need to Pawn or Sell, Please don’t hesitate to call us at 770.728.1145! We are happy to take a look at anything!